BOOTSIE BARKER BITES is as fresh today as it was at publication eighteen years ago. Its theme of dealing with a bully appears in many other books that have come and gone. The reason BOOTSIE remains is its writing and illustration beginning with the title and cover. 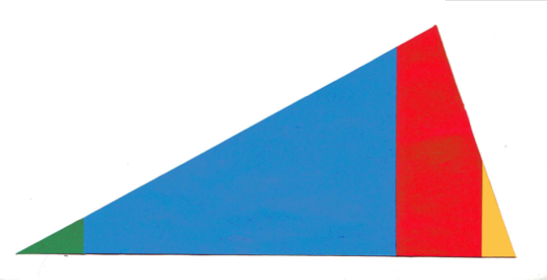 Bottner’s title literally evokes the sharp and bold nature of the bully, Bootsie: B-B-B! Imagining optional titles quickly shows what would be lost. Rathmann’s depiction of Bootsie on the cover is worthy of a classic melodrama poster. She may have a cutsie nickname and be dressed for tea and sporting a hat worthy of Bella Abzug, but Bootsie’s gritted teeth and artificial grin are a warning to all. We don’t even know who the protagonist is, but we are already on his/her side. Bottner’s voice and tone keep BOOTSIE immediate and fun. Rather than writing as adult with a lesson to share, Bottner’s (unnamed) protagonist tells her own story from the trenches of childhood. My mother and Bootsie Barker’s mother are best friends. When Mrs. Barker comes to visit, she always brings chocolate donuts, fresh strawberries, and Bootsie. The voice is direct and seemingly powerless in a world of adults. I tell my mother I don’t like playing with Bootsie Barker. My mother tells me I have to learn to get along with all kinds of people. Later when Bootsie is coming to spend an entire night, the young protagonist snaps. Bottner’s text stays true to the realities of childhood, and in doing so gives the young victim an opportunity to grow. I go to my room to think it over. Charlene [her salamander] and I spend the morning inventing a new game. Bootsie throws a tantrum on the sidewalk. So Bootsie’s parents take Bootsie to Chicago. Which means I don’t have to wish Bootsie takes a rocket to outer space. Although if she does, it’s fine with me. This is a picture book to savor, share, and study. 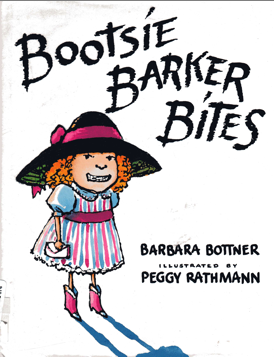 BOOTSIE BARKER BITES by Barbara Bottner. Illus. by Peggy Rathmann. Putnam, 1992.